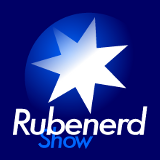 15:00 – First episode of the Offline Editions of The Rubenerd Show (until these server issues are fixed!) Talking about some housekeeping issues with the site, why I hate "reality TV", coat-hangers explained, the much needed rain for Adelaide has started (thank god! ), Antartica covered in grated cheese and Australia is not the driest continent on Earth, and iLife 2005 has arrived!